off shoulder style has been a huge hit since last year! i never liked those kind of cloth that exposed too much of my skin. *shy*. but i'm ok with showing my shoulder & collarbone. 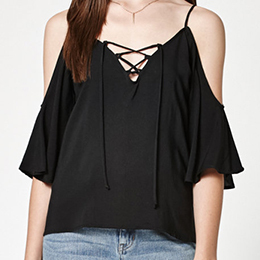 and off shoulder top is the best piece that can do the magic. i've been collected lots of off shoulder tops & dresses the past few months. and today i'll be wearing 7 different ones, each outfit express a different feel. i hope by the end of this post, you'll know which kind of off shoulder you like the most. i also placed some photo links with similar clothing under each outfit for you to shop, don't miss them!